Our long standing customers are world class manufacturers in automotive, computer and precision instrument industries. 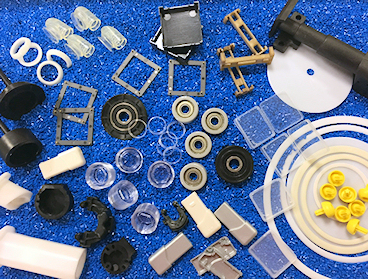 Our business concerns close tolerance plastics where clear, confident communications are necessary to work through plastic project design, engineering and production details. We have an excellent record of compliance and performance and consistently achieve a customer satisfaction rate of 99.45%. That's why the majority of our customers have been with us for 15-25 years! We pride ourselves in delivering our customers' highest expectations for service and communications. We provide project consultations and eagerly accept challenges to help you solve your manufacturing problems. With over 30 years of experience in this field, we develop innovations and cost-saving ideas to achieve our mutual benefits thru dependable relationships, dedicated employees, proactive innovations, competitive pricing, cost-saving ideas, excellent performance and certified quality. Computer Peripherals (flash drive housings/memory card holders), Office Equipment, Automotive, Semiconductor/Battery parts, Refrigeration components, Fire Suppression/Water Supply, EMI & RF Shielding Materials, Industrial and Medical products.